When you think of the tools required by a manager, you may not instantly arrive at “communication” as a high priority. However, the wisest and most effective managers have mastered this crucial set of interpersonal skills. They lead with clear communication, the ability to listen and ask the right questions to get to the crux of every matter, and the confidence to handle difficult conversations within their teams. Why are Communication Skills Important for Managers? If you think about any conflict, barrier to productivity, mistake, or misunderstanding in your working life, there’s a very high chance that it was either caused by miscommunication, or could have been prevented by stronger communication skills. Communicating well is essential for everyone in the workplace. In this article, we want to focus on why managers in particular need this skillset. As a manager, it’s so important for you to communicate regularly with your team, keeping them up to date with what’s happening. Frequent communication instils your team with confidence in an open channel of communication that works both ways. You also need to be able to advocate for your team, and to communicate with other managers, teams, and company directors. A team kept in the dark, with no regular updates from their manager or platform to discuss their concerns will become unmotivated and unproductive. Having regular one-to-one conversations with your team, or at least nurturing a team culture where you are available for a chat when needed, reassures your team that you’re working with them. If you’re communicating clearly and often, listening actively, and asking relevant questions, you are planting the seeds for others to behave in a similar style. Scheduling a group communication skills workshop is a fantastic way to create consistent practices and skills within the team. However, as with any cultural shift in a team or business, it will be the leadership commitment that sustains the change. Your regular updates will drive the direction of the team’s actions. As a result of your communications, the team will understand exactly what is expected of them. There will be less confusion and more action. More purposeful action leads to a higher level of productivity. Your culture of communicating clearly and active listening will create streamlined processes, and better accuracy in all activities. No manager likes to encounter challenging situations within their team. Unfortunately, it is unavoidable, even in the most harmonious of teams. The ability to identify potential areas of conflict or poor performance early on, and lead these difficult conversations with ease and professionalism can ensure that the issue is resolved with minimum disruption. If you glance back at the benefits above, you’ll see that all are contributing to less time and resources wasted, happier workers, and a mentality of productivity. Your team - and in turn, your business - will save time and costs, with a culture that is both sustainable and rewarding. Do we already have the communication skills we need? It’s true that we’re already communicating almost constantly. We have the basics, and many of us are doing quite well. However, if you could vastly improve your working life by eliminating barriers to clear communication and developing the skills you already possess, wouldn’t you get started right away? Everyone communicates differently. Learn about the different communication styles, so that you can identify both your own style, and the styles of those you manage. This is the starting point for understanding and perfecting communication between you and those you lead. Barriers to good communication can seriously impact your business productivity. Barriers can be anything from lack of attention from one party during a conversation, to excessive use of jargon and buzzwords, to difficulty understanding another’s perspective on an issue. As a manager, you need to be able to navigate these barriers successfully whenever they crop up. Getting your message across clearly is at the heart of all good communication. We’re all trying to communicate clearly, but it can be an elusive skill to gain and perfect. Sometimes understanding a problem or task can lie in asking the right questions. If you know how to ask thoughtful questions that deliver the information you need to progress a task or issue, you can save everyone a lot of time, frustration, and wasted effort. How much of your “listening” is actually waiting your turn to speak? Do you ever find yourself mentally writing your to-do list while someone is talking to you? If yes, you’re not the only one! Active listening is definitely a learned skill for most of us. Like accurate questioning, it can speed up productivity and make everyone’s day easier. This skill is closely linked to team building and developing strong working relationships with your team members. Through regular communication, you’ll develop a positive, constructive rapport with each person on your team. Mastering the art of difficult conversations will help you overcome obstacles of conflict, poor performance, and lack of motivation with skill. We recommend the highly effective combination of training, practice, and culture development for managers who want to become truly skilled at communication. If you’re new to management, you might like to start with one of the following courses. Both of these courses cover some elements of building strong communication skills. 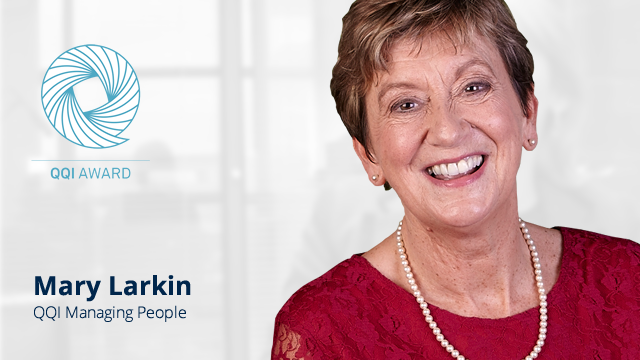 This course is an all-round syllabus for those who want to gain confidence and best-practice approaches to managing others. 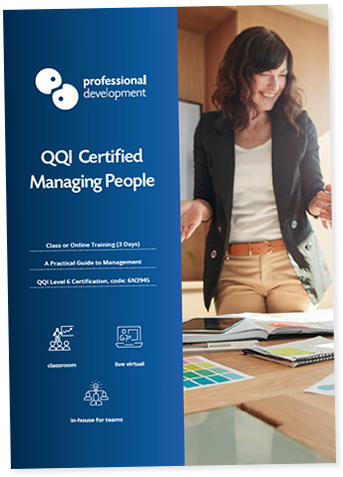 We have dedicated a full module of this QQI Managing People Course to communication skills. If you want to focus on building your foundational management tools at a practical level, this course is ideal. The communication section of this course focuses on getting your message across clearly, and communicating cross-level. Do you want to Train Your Team in Communication Skills? Our 2-day Communication Skills workshop is perfect for teams who want to concentrate on developing a well-rounded toolkit for communicating effectively. We come to your location and deliver training exclusively to your team. Participants will begin to master key elements of communicating with clarity, active listening, and handling challenging conversations during this short workshop.